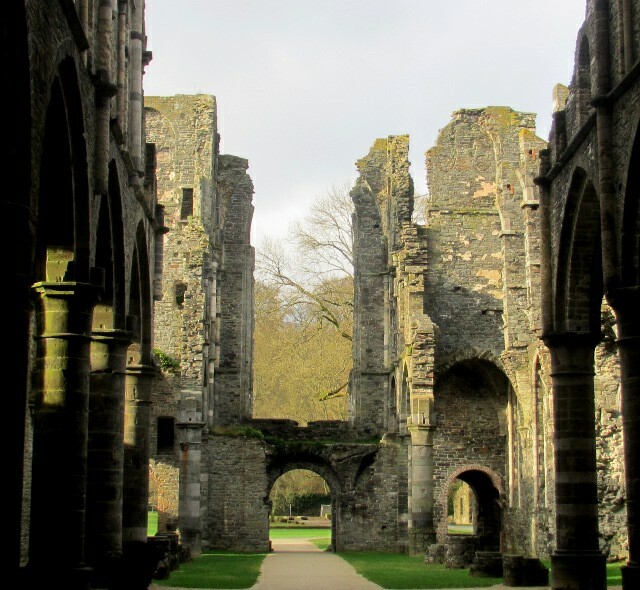 Just 40km south of central Brussels are the atmospheric ruins of the Abbaye de Villers, the largest set of church ruins in Belgium. 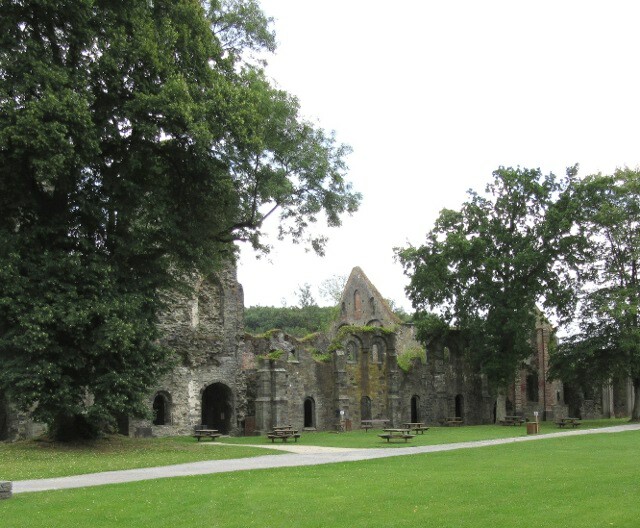 It is the remnant of the great Cistercian Abbey whose lands once stretched right across Belgium, today it is part ruin, part restoration project and part park. We also like to take visitors here because no matter what the season it is a tranquil, restful place to spend an hour or two and it is also surrounded by attractive walks and small roads. And once again it demonstrates the joy of discovering so much of Belgium’s history and landscape. A beautiful historic sight like this just 25 miles from a major European capital could and perhaps should be a major tourist attraction but it is just never busy. There is a nearby railway station, bus routes and only an unusually small car park but even that is never full. 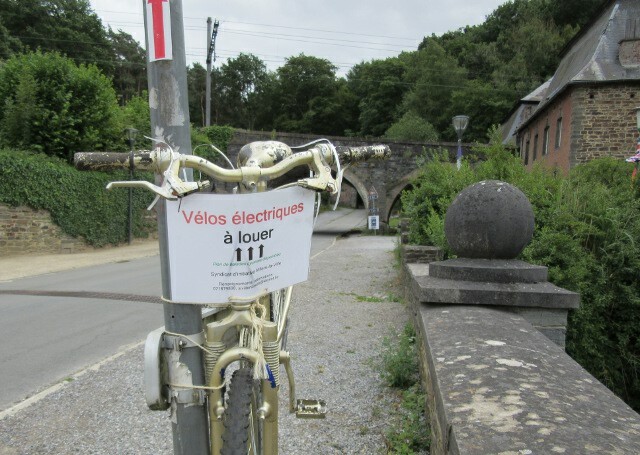 Visiting by bike is easy because of the railway and the cycle paths along the valley. The tourist office now has some recommended local circuits too, however because the valley is quite steep sided and there are some cobbled sections their addition of e-bike hire could be the smartest move of the lot! Ah – and about that railway line. Well in the period when the railways were being developed they needed lots of available material and to follow the valley. Well in less enlightened times there was an easy solution. They ran a viaduct right through the site! At least we can say they managed to use matching stone so from below the arches could almost blend in. However the occasional trains are not too intrusive and I find them much nicer than the road that runs round the site. I am pleased to say that on a recent visit we discovered that one of the most recent restorations has started. 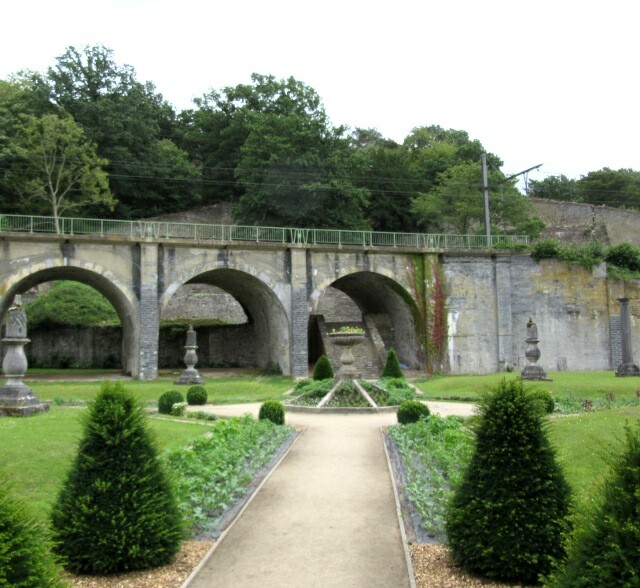 When I first cycled through here one of the attractions was that the Route Nationale 275 actually passed under one of the old abbey arches. 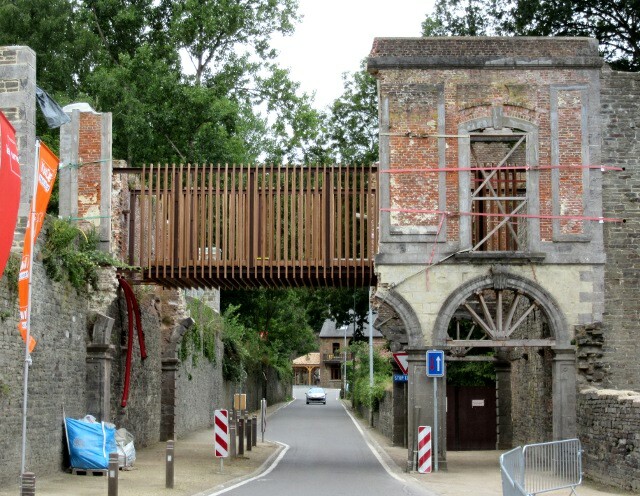 However in October 2013 a numpty in a truck smashed in to one of the arches and so destabilised the whole structure that the whole section had to be demolished. “Dazzled by the sun”, possibly the lamest in the litany of excuses that we have heard over the years. The bridge wasn’t wearing a high viz jacket, so it was probably asking for it. It will be nice when the restoration is completed, I hope it can survive another few hundred years. 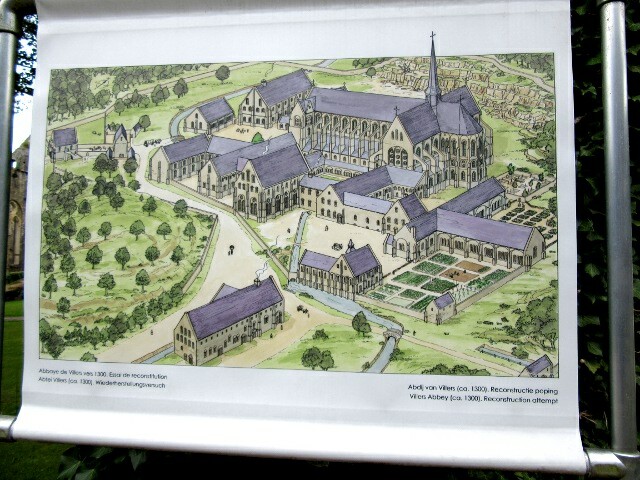 This entry was posted in History, Life in Belgium, Travel and tagged Abbaye de Villers, Belgique, Belgium, Brabant Wallon, Cistercian, cycle touring, cycling, Villers la Ville, Wallonia by kevinmayne. Bookmark the permalink. 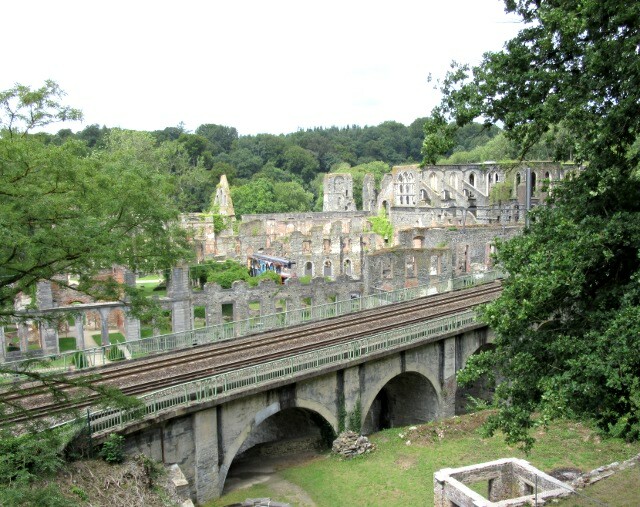 Suggested reading – what a stunning historical site! Reblogged on Windows into History. A lovely walk in that area. I haven’t been since the lorry ‘accident’ so didn’t know about it… What a muppet.